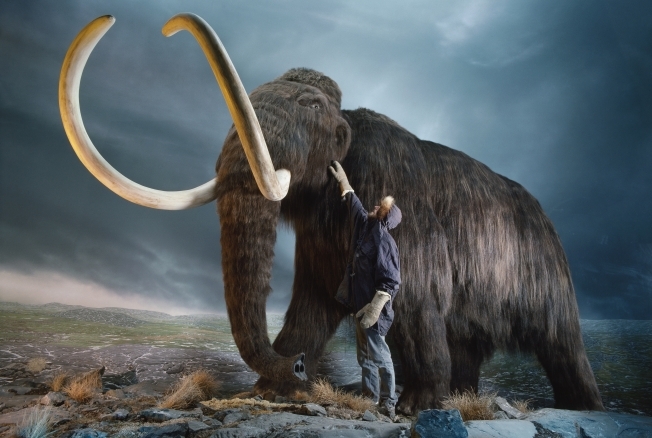 The woolly mammoth could be coming soon to a theme park near you. Scientists have untangled the genetic code in about 20 hairballs from woolly mammoths, bringing a "Jurassic Park" that much closer to reality. "It could be done. The question is, just because we might be able to do it one day, should we do it?" asked Stephan Schuster, the Penn State University biochemistry professor and co-author of the new research. "I would be surprised to see if it would take more than 10 or 20 years to do it." The team behind the million-dollar project is 80 percent done decoding the mammoth's 3 billion DNA building blocks. With the improvements in technology, Schuster says any extinct creature living "within the last 100,000 years" could be brought back to life. So, instead of a "Jurassic Park," we may have to settle for an Ice Age theme park. Either way, it would be a huge draw. "People would like to see a hairy elephant," said George Church, director of computational genomics at Harvard Medical School.